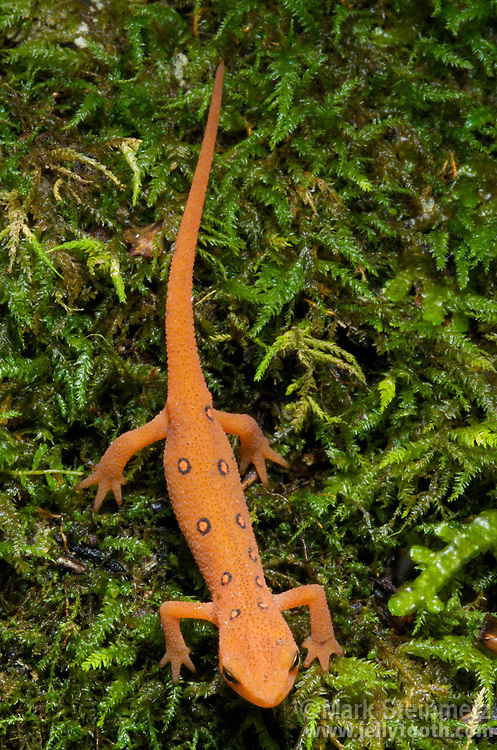 Red eft (terrestrial juvenile stage) of the Red-spotted Newt (Notophthalmus viridescens), a common salamander of eastern North American forests. Also known as the Eastern Newt. Hocking State Forest, Ohio, USA.